Martin Luther King Jr., with the Rev. Ralph Abernathy (center) and the Rev. Fred Shuttlesworth, defied an injunction against protesting on Good Friday in 1963. They were arrested and held in solitary confinement in the Birmingham jail where King wrote his famous "Letter From Birmingham Jail." Alabama segregationist Bull Connor ordered police to use dogs and fire hoses on black demonstrators in May 1963. Charles Avery Jr. was 18 in 1963, when he participated in anti-segregation demonstrations in Birmingham. "I'll never forget the time or the date. It's etched in my mind forever," he says. "I draw the line in the dust and toss the gauntlet before the feet of tyranny, and I say segregation now, segregation tomorrow and segregation forever." 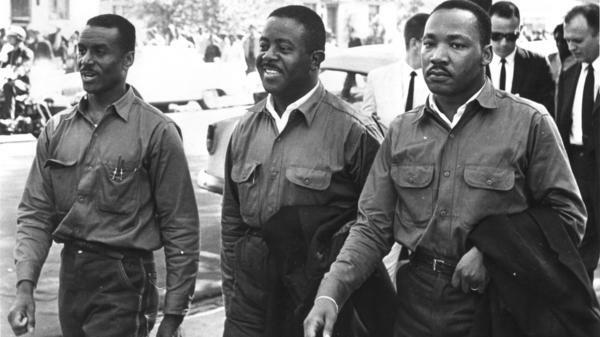 With racial tension high, King began nonviolent protests before Easter, but the campaign was struggling. King wasn't getting enough participation from the black community. So on Good Friday, he and several other organizers decided to get arrested. Police took King to the jail and held him in isolation. "Alone in jail, King plunges down into a kind of depression and panic combined," says Jonathan Rieder, a sociology professor at Barnard College who has written a new book on the letter called Gospel of Freedom. He says a guard smuggles King a newspaper where the letter from eight white ministers is published. They attack King and call the protests "unwise and untimely." Rieder says for King, that changes everything. "Suddenly he's rising up out of the valley, up the mountain on a tide of indignation, and so this letter, we have to understand from the beginning, is born in a moment of black anger," Rieder says. "And that's all we've heard: 'Wait, wait for a more convenient season.' But I want you to go back and tell those who are telling us to wait that there comes a time when people get tired." Rieder calls this a powerful moment. "We will see all the facets of King that we know, but now we have the badass King and the sarcastic King, and we have the King who is not afraid to tell white people, 'This is how angry I am at you,' " Rieder says. "Now is the time to change our nation from the quicksand of racial injustice to the solid rock of human dignity. Now is the time to end segregation and discrimination in Birmingham, Ala. Now is the time." Segregationist Bull Connor had just lost a runoff election in Birmingham, but he was still in charge of law enforcement. That night King told the congregation he had no faith in the city's newly elected leader, Albert Boutwell, either. At the beginning of May, leaders agreed to use young people in their demonstrations. They needed large numbers to fill the jails and force white Birmingham to listen. Then, Connor ordered police to use attack dogs and fire hoses. The force of the water was so strong it peeled off clothing, shredded skin and tossed children down the streets. "I was 18. I'll never forget the time or the date. It's etched in my mind forever," says Charles Avery Jr. He was a senior in high school. He led students to march. "When we got on the cell block, cell blocks probably hold 600 people. We were there with about 1,500-plus. You couldn't stand sideways. You couldn't sit down. Everybody was just jammed," Avery says. "If we will pray together, if we will work together, if we will protest together, we will be able to bring that day. And all others in Birmingham and all over America will be able to sing with new meaning: My country 'tis of thee, sweet land of liberty, of thee I sing." The letter was not published immediately. But by fall it and the city of Birmingham became rallying cries in the civil rights campaign. Today on 6th Avenue South in Birmingham, a three-story cement building with peeling paint is almost hidden from the busy street. The old city jail looks abandoned. You can't see the cells where King and thousands of blacks were held. "People risked their lives here," says Jim Baggett, archivist for the Birmingham Public Library. Baggett says the violence and brutality of the police here focused the country on what needed to change and ultimately led to the passage of the Civil Rights Act. "Birmingham grabbed the imagination. And the images that come out of here, it just, I think it seared into people's minds. And it still is," Baggett says. On this anniversary of the "Letter from Birmingham Jail," public readings of the document are taking place across the world. More than 225 groups have signed up, including students at Harvard, inmates in New York and clergy in South Africa. On this day, 50 years ago, Martin Luther King, Jr. began writing his famous "Letter from Birmingham Jail." It was a response to white clergymen who had condemned the civil rights campaign. As NPR's Kathy Lohr reports, the letter changed the city and the nation. KATHY LOHR, BYLINE: King traveled to Alabama in 1963 to attack the culture of racism in the South and the Jim Crow laws that mandated separate facilities for blacks and whites. In January, Governor George Wallace delivered his inaugural address with these fighting words. GOVERNOR GEORGE WALLACE: I draw the line in the dust and toss the gauntlet before the feet of tyranny. And I say segregation now, segregation tomorrow and segregation forever. LOHR: With racial tension high, King began nonviolent protests before Easter but the campaign was struggling. King wasn't getting enough participation from the black community. So on Good Friday, he and several other organizers decided to get arrested. Police took King to jail and held him in isolation. JONATHAN RIEDER: Alone in jail, King plunges down into a kind of depression and panic combined. LOHR: That's Jonathan Rieder, a sociology professor at Barnard College, who's written a new book on the letter called "Gospel of Freedom." He says a guard smuggles King a newspaper where the letter from eight white ministers is published. They attack King and call the protests unwise and untimely. Rieder says for King that changes everything. RIEDER: Suddenly he's rising up out of the valley, up the mountain on a tide of indignation. And so this letter, we have to understand, from the beginning is born in a moment of black anger. LOHR: Just two days after he got out of jail, King preached a version of the letter at Birmingham's 16th Street Baptist Church. It documents how frustrated he was by white moderates who kept telling blacks this was not the right time. DR. MARTIN LUTHER KING, JR.: And that's all we've heard - wait. KING: ...that there comes a time when people get tired. RIEDER: We will see all the facets of King that we know but now we have the badass King and the sarcastic King. And we have the King who is not afraid to tell white people: This is how angry I am at you. And it is just a powerful, powerful moment. 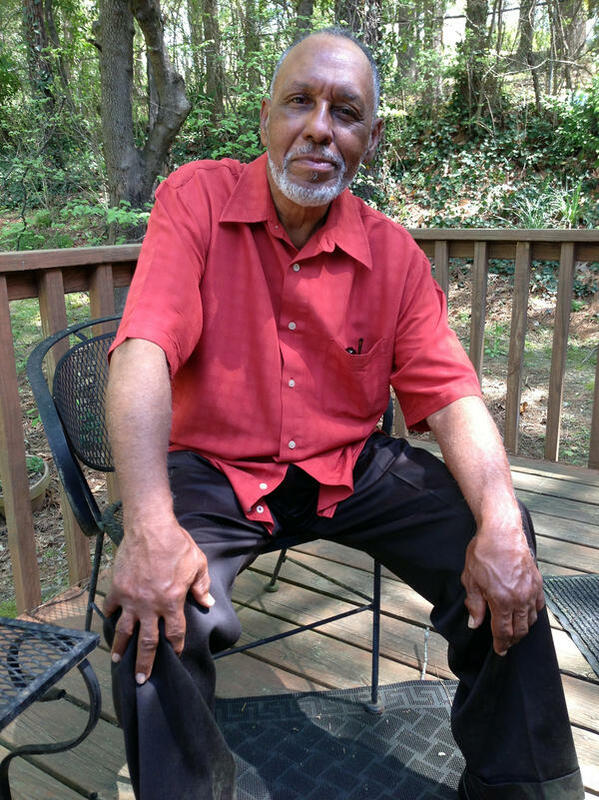 LOHR: The speech was recorded by activist Reverend C. Herbert Oliver in 1963, and was recently donated to the Birmingham Civil Rights Institute. Few have ever heard it. KING: ...to end segregation and discrimination in Birmingham, Alabama. Now is the time. LOHR: Segregationist Bull Connor had just lost a runoff election in Birmingham. But he was still in charge of law enforcement. That night, King told the congregation he had no faith in the city's newly elected leader, Albert Boutwell, either. KING: It may be true that Mr. Boutwell is a little more gentle and more articulate than Mr. Connor. But they are both segregationists. Mr. Boutwell says, you see, I am a segregationist. Mr. Connor says I'm a segregationist. But it means the same thing. LOHR: At the beginning of May, leaders agreed to use young people in their demonstrations. They needed large numbers to fill the jails and force white Birmingham to listen. 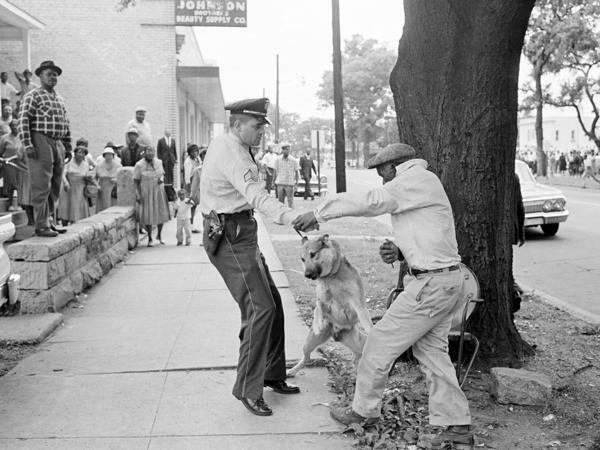 Then, Bull Connor ordered police to use attack dogs and fire hoses. The force of the water was so strong it peeled off clothing, shredded skin and tossed children down the streets. CHARLES AVERY, JR.: I was 18. I'll never forget the time or the date. It's etched in my mind forever. LOHR: Charles Avery Jr. was a senior in high school. He led students to march. AVERY: When we got on the cell block, the cell blocks probably hold 600 people. We were there with about 1,500-plus. You couldn't stand sideways. You couldn't sit down. Everybody was just jammed. LOHR: Avery recalls hearing King, who was passionate. In the newly uncovered audio, the civil rights leader preaches that America cannot call itself an exceptional nation until racial injustice is addressed and segregation ended. KING: ...we will be able to bring that day when all of us in Birmingham and all over America will be able to sing with new meaning, "My country 'tis of thee..."
KING: ...Sweet Land of Liberty, of thee I sing. LOHR: The letter was not published immediately. But by fall, it and the city of Birmingham became rallying cries in the civil rights campaign. LOHR: Today on 6th Avenue South in Birmingham, a three-story cement building with peeling paint is almost hidden from the busy street. The old city jail looks abandoned. You can't see the cells where King and thousands of blacks were held. JIM BAGGETT: People risked their lives here. LOHR: Archivist for the Birmingham Public Library, Jim Baggett says the violence and brutality of the police here focused the country on what needed to change, and ultimately led to the passage of the Civil Rights Act. BAGGETT: Birmingham grabbed the imagination. And the images that come out of here, it's just, I think, it's seared into people's minds. And it still is. LOHR: On this anniversary of the "Letter from Birmingham Jail," public readings of the document are taking place across the world. More than 225 groups have signed up, including students at Harvard, inmates in New York, and clergy in South Africa.